There may be many reasons why you would want to rent out a P.O. Box at a storage facility. 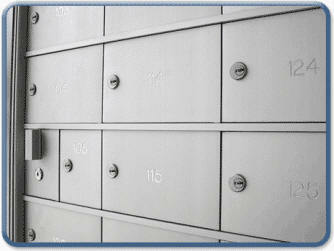 Are you a small business owner who needs a professional mailing address? Or a resident who's in between homes? If you're in need of a place to receive mail, beat the lines at the other places all while being able to provide a reliable postal address for bills, deliveries, customer requests and more. Space Storage in McAllen, Texas is the place you should come to. P.O. Boxes are perfect if you desire mail security. They’re locked and accessible to you using your key. Suppose you don’t want someone to know you’re home address, just give them our address and your mail will come right to us. Just like all of our amenities at Space Self Storage, our P.O. Boxes are affordable, so you won’t break the bank.